HBO has finally pulled the trigger and officially given the green light to True Detective season 3. The critically acclaimed limited series took a step back with season 2, but the network looks to change that by giving creator Nic Pizzolatto another crack at it and by bringing in some new blood. That new blood comes in the form of Oscar-winner Mahershala Ali, who is set to star as the lead in True Detective season 3, along with Jeremy Saulnier, who will help with directing duties. The news comes courtesy of Variety, who report that Nic Pizzolatto and Jeremy Saulnier will tackle directing duties together for True Detective season 3. As for Mahershala Ali, his casting was revealed in July but not confirmed by the network until now. Here's what Casey Bloys, HBO's president of programming, had to say about the news in a statement. "Nic has written truly remarkable scripts. 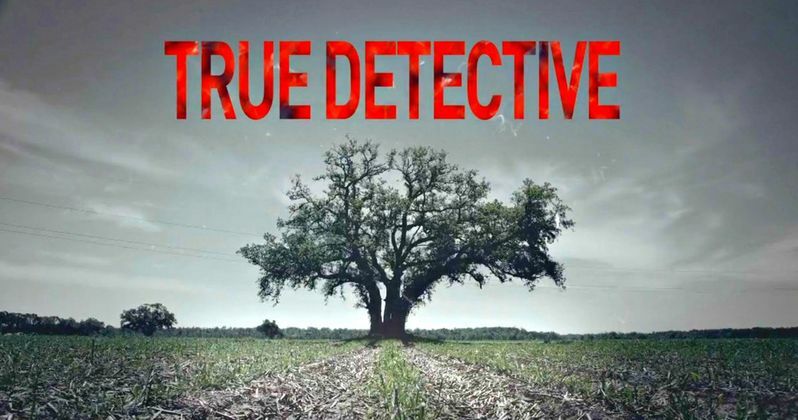 With his ambitious vision and Mahershala Ali and Jeremy Saulnier aboard, we are excited to embark on the next installment of True Detective." HBO is certainly starting off on the right foot by locking down some serious talent. Mahershala Ali is on the rise after his performance in Moonlight, which won Best Picture at the Academy Awards and earned him a Best Supporting Actor Oscar. As for Jeremy Saulnier, who will be helping out behind the camera, he got a big boost last year with his movie Green Room, which was quietly one of the best movies of 2016. His name has been on the radar since and his style should blend well with the grit required for True Detective. Variety also revealed the first plot details for season 3, which sounds very ambitious. "The next installment tells the story of a macabre crime in the heart of the Ozarks, and a mystery that deepens over decades and plays out in three separate time periods. Ali will play the lead role of Wayne Hays, a state police detective from Northwest Arkansas." That certainly sounds like a True Detective story. It also sounds like this could be a bit more streamlined as it appears Mahershala Ali will be the main man we follow on this journey. True Detective season 2 had four leads and that is part of what made the second season a little rocky. Creator Nic Pizzolatto, who wrote every script for the new season, only having help on episode 4 which he co-wrote with David Milch, had this to say about True Detective season 3. "I'm tremendously thrilled to be working with artists at the level of Mahershala and Jeremy. I hope the material can do justice to their talents, and we're all very excited to tell this story." True Detective season 1, which starred Matthew McConaughey and Woody Harrelson in the lead roles, made for some of the best TV produced in the modern era. True Detective season 2 didn't live up to the very high expectations placed upon it by the first season and served as quite the disappointment for many. The creative team doubled down on lead actors, bringing in Colin Farrell, Vince Vaughn, Taylor Kitsch and Rachel McAdams for the second season, but they didn't really resonate with fans and the narrative of the second season didn't help anything. But the show still did well in the ratings department and, as such, we are getting True Detective season 3. Let's just hope they get it right this time.